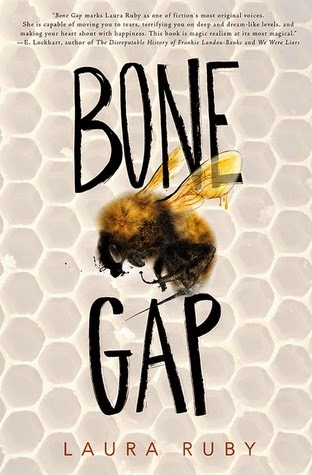 Bone Gap has huge buzz around it, and you could forgive me from thinking it would be similar to The Secret Life of Bees, based on it cover. It couldn't be further from that novel; it is completely its own interesting, twisted, surprising book. It's a novel that defies a neat summary, so I am going to skip that and just say that I found myself reading as much as possible, including during my planning periods at school. I wanted to know what would happen, and although I found the ending strange and less satisfying than I wished, I still enjoyed it. Laura Ruby is a gifted writer, crafting sentences like, "Funny how you notice how beautiful things are just when you're about to leave them." The quirks of Bone Gap won't be for everyone, but good writing cannot be denied.